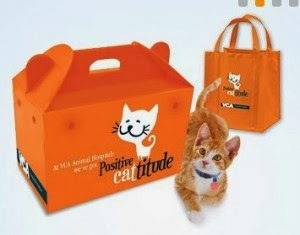 Head over to you nearest VCA Animal Hospital to get a FREE Vet Exam + Cat Transport Kit! This offer is good for up to two (2) cats/dogs per household. Free initial health exam for new clients only. Not to be combined with any other offer. Not good toward boarding, grooming, prescription and non-prescription medication, and retail items. Not good toward emergency and/or specialty veterinary services. Coupon good for up to two pets (dogs or cats only) per household. Redeemable only at a general practice VCA Animal Hospital. For pet owners who are aged 18 and older. We have created a network with the greatest resources to provide the highest quality care available for your pets. What does it mean when we say high quality? It means we maintain the highest standards of pet health care available anywhere. It means we emphasize prevention as well as healing. It means we provide continuing education programs to our doctors and staff. It also means we promote the open exchange of professional knowledge and expertise. And finally, it means we have established a consistent program of procedures and techniques, proven to be the most effective in keeping pets healthy.